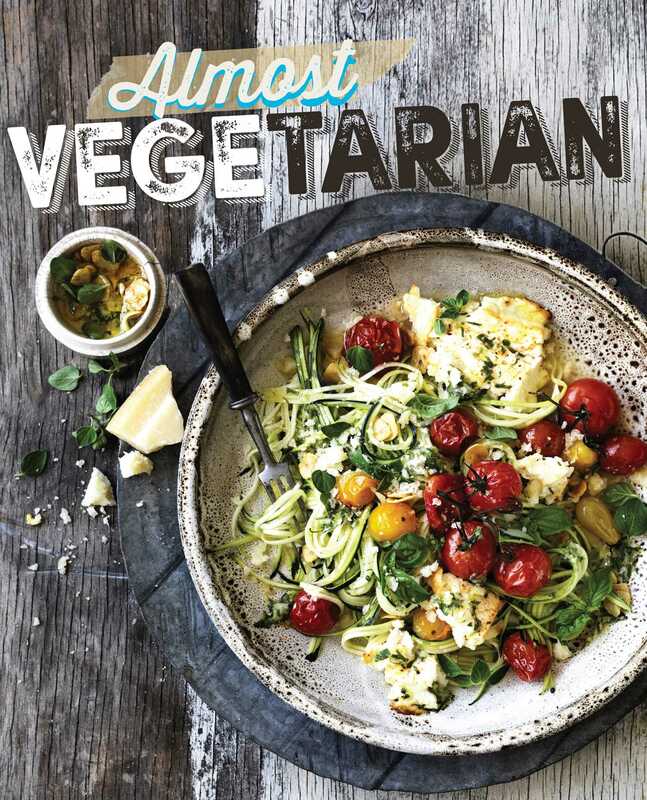 Beautifully photographed cookbook featuring innovative recipes to inspire to a range of plant-based diets—even those that allow some lean meat and seafood. Whether you’re strictly vegan, not-so-strict lacto-ovo vegetarian, a newly emerging flexitarian, or simply like to eat fresh, Almost Vegetarian focuses on healthy, modern, and mostly plant-based ingredients in delicious combinations. Over 100 fresh-tasting recipes, each one beautifully photographed, take a modern approach to plant-based cooking, combining a wide range of ingredients in enticing internationally-inspired recipes. Some of the innovative, triple-tested recipes from the test kitchen experts at Australian Women’s Weekly appeal to those on strict vegetarian or vegan diets, while others combine vegetables with lean meats and seafood—all embracing a global perspective and fresh flavor focus with universal appeal. 1 Preheat oven to 400°F. Line two baking sheets with parchment paper. 2 Using a plate as a guide, cut six 8¾-inch rounds from the pastry. Spread pastry with mustard, leaving a ½-inch border around the edge. 3 Combine broccoli, cheddar and mozzarella in a large bowl; season. Place one-sixth of the broccoli mixture in the center of a pastry round; fold over to enclose filling, crimping the edge to seal. Repeat with remaining broccoli mixture and pastry rounds. 4 Place pies on baking sheets. Brush with egg and sprinkle with seeds; cut four slashes on each pie. 5 Bake pies for 25 minutes or until golden and puffed. tip Pies can be made the day before up to the end of step 3; store, covered, in the fridge. serving suggestion Serve with a simple green salad.